Snagged for the bits. You may have Kang on Simpsons Tapped Out, but do you have his pewter incarnation? $2.00 at Church Mouse in Sonoma. 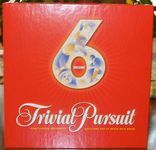 New in shrink on eBay for $.99. Even with the $10 shipping I had to jump on it. Was a brand new seller with no previous sales, so I was afraid it wasn't going to arrive, but it came on Saturday! Hello Acme... Two Words - Product Liability!! This was a better week for me. The only reason to pick this game is because its in shrink and that makes it sellable for a goodly amount. This one was $3.75 at Savers I Phoenix. A beautiful copy of a deluxe party edition of the game (similar to the picture). Original glass marble are included (very important!). $2.00 at Sun City Thrift. Plus I got free cookies and candy there and a tip about the location of another thrift store (nice but there game selection was poor)! 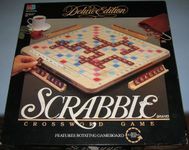 The game was complete and in excellent condition. The four C sized batteries still work. $3.99 at GW in Phoenix. A beat up copy of these game was only $1.99 Missing two cards and one pawn stand. Still playable through. Perhaps its time to introduce the nephews to Bugs Bunny! Dungeon! It was right next to the Looney Tunes and it was $1.99 Missing a few pawns and four cards. Also found this game. The contents are still inshrink. $2.25 at Savers in Scottsdale. Well I went back to the Savers in Scottsdale were I found that huge lot of General Game Magazines just to see if I missed any. Well I did. I found another 10 more (also in excellent condition (70s & 80s)) for 22 cents each. 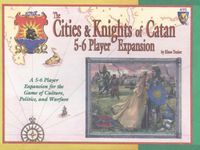 Found a third edition of Catan Cities and Knights 5/6 Player Expansion. The contents are still in the shrink. The base expansion along with the base game were nowhere to be found. $0.75 at Savers in Phoenix. I found a beautiful copy of a 1962 3M version of the game. Chipboard gameboard instead of the plastic one. Plastic tile but its 100% complete. $2.25 at Savers in Scottsdale. Wow the components of this game are awesome! 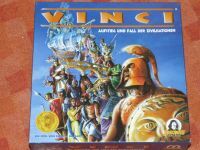 Unfortunately it is heavily language dependent, and its all in German Its complete, the contents are in great shape, the box has wear on it. But I am not sure what to do with this one since I don't read German. $6.00 at Bookmans. A very nice copy of this game. Missing one of the gold chips but there are plenty of blank ones. $4.00 at Bookmans. Until this past week I had never seen this game. Of course it was at Bookmans and it was priced at $8.00 but I still decided to take it. Complete and in excellent condition. I was cruising through Bookmans in Mesa and didn't see anything where they keep most of the games. After checking the rest of the store I go back to the games section and Vinci managed to materialize in the between time. Its $20.00 but I think its worth it. When I opened it up I found that it was awarded as a prize in 2000 at the Gateway con. It was given for first place according to the award certificate and ribbon. Someone also took the time to make a map of Asia to play this game on, in the same style as the original European map. $1.99, Goodwill. Cards still in plastic and money still attached to pad. Might make a nice gift for some of my relatives who enjoy rummy-type games. $.95, Salvation Army. Complete. One of the boxes of questions is still in plastic. 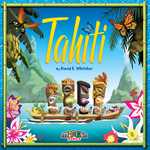 My family enjoys TP games, and we didn't have this one yet. I have never heard of this company before, and no wonder why since they are based in Europe. This game is punched but complete (I had to count all the counters (560) twice). The box was wear and tear but the contents are in great shape. $15.00 at Bookmans in Phoenix. Last but not least was this find. 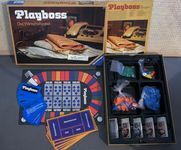 Found a 1975 team version of the game (as pictured). It is punched but in excellent condition. $3.99 at GW in Glendale. 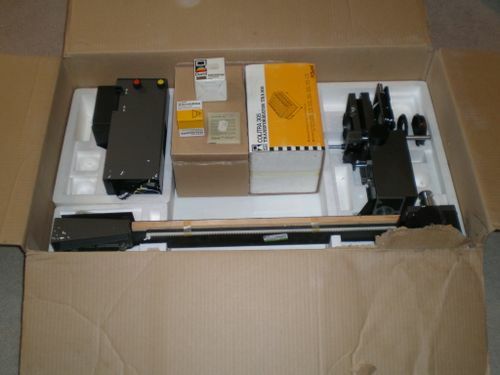 My best find of the week though was a Durst M605 color photo enlarger with extra lenses that was still in its original box. It was never used as the motor parts were still sealed. $20.00 Sucker is heavy though at 46 pounds. Deluxe turntable scrabble at Savers for $1.99. I have found that these sell fairly well, so I always pick them up. Last week I moved away from the Goodwill that yielded such finds as Civilization and Power Grid. Thankfully, I moved to the McMinnville Goodwill where I found my first "big game" that got me into thrifting, Roborally. It seems like they have upped their prices a bit since the last time I was there, but I got Family Fluxx in almost brand new condition for $1.99. I went back and forth on whether or not to get this at the steep price of $6.99, but ultimately decided to get it after seeing all the cool airplanes inside. I still have to inventory for completeness, but it looked pretty good on first inspection. There was a little price tag on it from the original store that says MSRP:$5 Our Price:$3.46. Looks like I over payed a little bit. Also, I left behind a very nice copy of the 1956? edition Clue that was only missing the metal pipe. I went on a lunch time run to my usual haunts. I found 2 things at GW today. 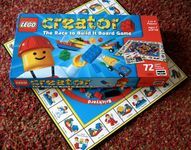 First is Lego Creator in a box that has seen it's better days. It's complete apart from missing one mover (the red cap, anybody have a spare?). $1.50. Edit: I just remembered, I did not count the model cards. Have to do that when I get home.